As the "Pearl of the Orient" and one of China's Special Administrative Regions, Hong Kong is a living paradise with a wide range of enjoyment. Tourists in Hong Kong can view the beautiful natural sceneries and get various enjoyments of modern civilization. It's a major international centre of finance and trade and a world-famous dynamic city. One this page you'll find useful information if you plan to travel to Hong Kong, or just want to know more about this great city. Let's begin with some basics. 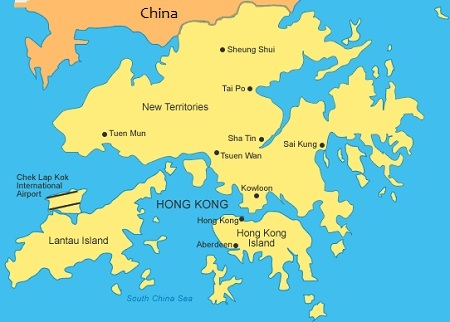 Hong Kong consists of Hong Kong Island, Kowloon, and the New Territories. The Kowloon Peninsula is attached to the New Territories in the north, and the New Territories are in turn connected to mainland China across the Sham Chun River (Shenzhen River). In total, Hong Kong has 236 islands in the South China Sea, of which Lantau is the largest. 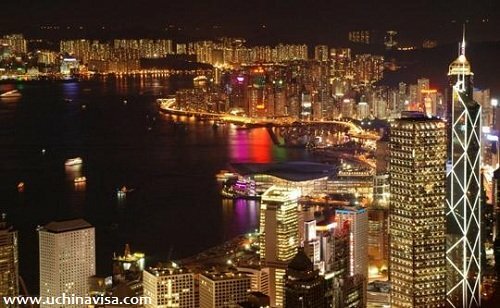 Hong Kong Island itself is the second largest and also the most populated. Ap Lei Chau is the most densely populated island in the world. Hong Kong is on the eastern side of the Pearl River Delta on the southeastern coast of China, facing the South China Sea in the south, and bordering Guangdong Province in the north. Hong Kong consists of Hong Kong Island, Kowloon, and the New Territories. Hong Kong was a British colony from 1842, until its sovereignty was transferred to the People's Republic of China (PRC) in 1997. As a special administrative region, Hong Kong is guaranteed by the Basic Law to have a relatively high degree of autonomy until at least 2047, fifty years after the transfer of sovereignty. Under the "One Country, Two Systems" policy, it retains its own legal system, currency, customs policy, cultural delegation, international sport teams, and immigration laws. If you need an easy tool for finding professional and affordable office space throughout Hong Kong, take a look at Hong Kong Office Space.